In CR-V versus RAV4, the winner – for winter, at least – does not have a V in its name at all. Sure, we’re not long past Canada Day and at least six weeks away from winter in Alberta. 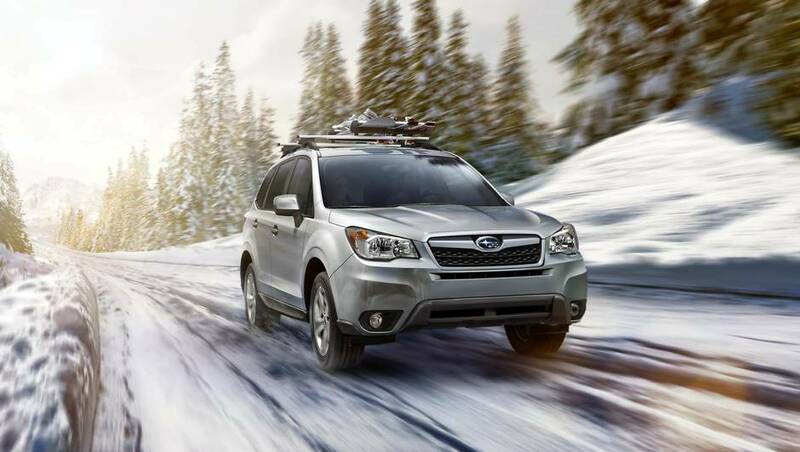 But if you’re looking for the best in snow, the 2015 Subaru Forester was the “clear winner” over the Honda and Toyota in winter driving tests by Consumer Reports. “The Subaru cornered the way people expect an all-wheel drive car to drive – we could feel the power being directed to all four wheels at different times to help stay on course,” it said. Frozen street cred aside, choosing between them might come down simply to which one you like best. All three generally get top ratings in reviews. The class used to be dominated by the CR-V and RAV4, but the Nissan Rogue, the Ford Escape and the Mazda CX-5 are all worth checking out, too. If you want AWD, be careful while shopping. While the Subaru only comes with AWD – which is always on – the other two come in front-wheel drive versions. All three get top ratings for predicted used car reliability from Consumer Reports. The CR-V and RAV4 have distinctive looks – some might even call them ugly. The Forester’s not trying as hard – some have called it bland. “Subaru resisted the contemporary trend toward making SUVs look like sports coupes with descending rooflines and curvaceous bodies, instead focusing on the fundamentals with a space-efficient design, large windows, and big square doors,” Consumer Reports said. Edmunds lauded a roomy interior, good fuel economy and great safety scores but complained about a finicky touch screen. Consumer Reports added braking to the list of highs. Lows include an unsettled ride, noise and clunky connectivity. The CR-V is tried and true – and, for 2015, it got a refresh, and the Accord’s direct-injected engine and CVT. Edmunds praised its fuel economy, passenger and cargo room, self-folding rear seats and tech and safety features. It complained about the lack of an available engine upgrade and touchscreen controls that are tough to use. Consumer Reports praised its solid reputation for reliability and good resale. It panned an infuriating audio system on EX and higher trim levels, a stiff ride and annoying vibration at idle. 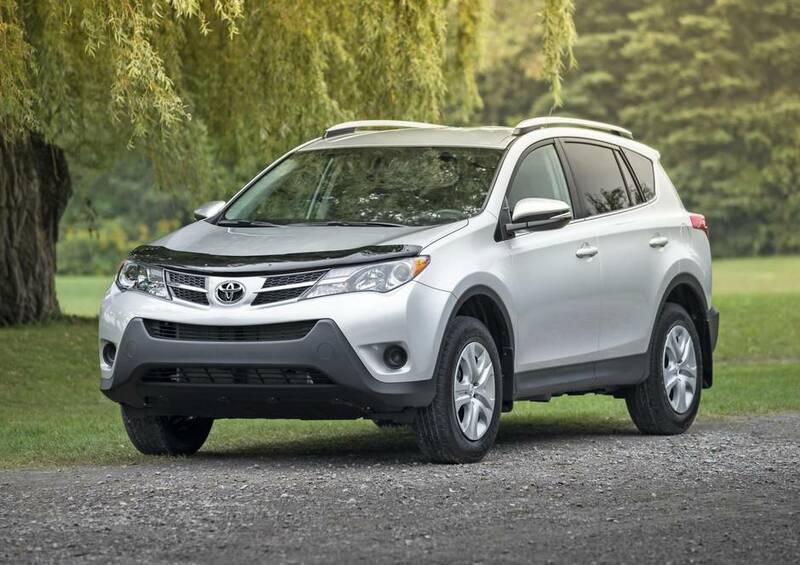 The RAV4 got a refresh for 2016, but the 2015 model is mildly dated inside and out. It has a lot of sharp edges. That said, it’s reliable and does the job. “All things considered, the 2015 Toyota RAV4 is not overwhelmingly strong in any one area, but it shines as a solid, well-rounded entry in a very competitive segment,” Edmunds said in its review, adding that the RAV4 strikes “a good balance between ride comfort and sure-footed handling” but it complained about the complicated process to connect a smartphone. Consumer Reports praised its fuel economy, agility, transmission, access and roominess. Complaints included ride, noise and driver-seat lumbar support.